Spinal cord injuries can be caused in many different ways. A car, truck, or motorcycle collision can cause damage to the spine. Falls, product defects, assaults, medical malpractice, sports injuries, and other incidences are also common culprits. Any incident that compresses, fractures, crushes, or dislocates vertebrae can result in spinal cord damage. 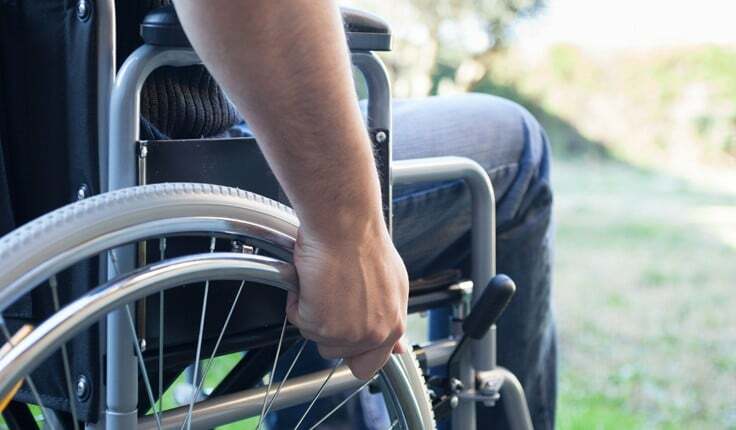 At Harris Lowry Manton LLP, our Savannah and Atlanta spinal cord injury lawyers understand how life-altering spinal cord injuries can be. That is why we thoroughly investigate how the accident happened and bring claims against everyone who is responsible. Our lawyers have obtained some of the top verdicts in Georgia. In one case, our Harris Lowry Manton LLP attorneys obtained a $2,000,000 spinal cord injury settlement from an automobile wreck. In another case, we negotiated a $1,400,000 settlement for a teenager who suffered a spinal injury due to a defective seatbelt. Spinal cord injuries are classified as complete or incomplete. If most of the sensory feeling and the ability to control motor function are lost below the site of the spinal cord injury, then the injury is complete. If the victim has some sensory or motor function below the injury site, the injury is incomplete. A patient with complete spinal cord paralysis rarely gets better, permanently affecting his/her quality of life and outlook on life. Patients with incomplete paralysis may heal to some degree over time. Paralysis occurs when the nerves are severely damaged. The nerves control the body’s signals that control movement and function. Patients with catastrophic injuries such as paralysis due to spinal cord injury suffer severe physical and emotional harm. Physically, most victims live in constant pain. The victim’s ability to work is directly affected. Emotionally, spinal cord paralysis alters lives because the victim has limited or no movement. Paraplegia affects the legs, pelvic organs, and part or all of the trunk. The spine includes four components – cervical, thoracic, lumbar, and sacral. Injuries to the latter three vertebrae can cause paraplegia. The location of the injury determines whether the legs, abdomen, and hip flexors are affected – or all three. Quadriplegia, also called tetraplegia, affects the upper and lower body – hands, arms, legs, trunk, and pelvic areas. Quadriplegia is often due to damage to the cervical cord – unlike the lumbar, thoracic, and sacral cords that causes paraplegia. If the location of the spinal cord injury is too high, the victim may need to be on a ventilator for his/her full life. The location of the cervical cord injury can also determine the ability to use one’s arms and hands, legs, and torso. It is best to see a physician as soon as possible. Early treatment can help the recovery process. At Harris Lowry Manton LLP, our Atlanta and Savannah personal injury lawyers are experienced trial attorneys. We prepare each case for trial by jury. Often, due to our preparation, advocacy, and reputation, we are able to settle many cases to the clients’ satisfaction. To make an appointment with our lawyers, please call us at 404.998.8847 in Atlanta or in Savannah at 912.417.3774. You can also reach us through our contact form.